Artisans have been making one-of-a-kind Murano glass jewelry for over 700 years. One of the secrets of their continued success is the ability to refine and improve upon their age-old craft to keep it fresh and relevant. Manuela, creator of the Murano Luccicare Collection, knows this. She’s used a technique that requires a steady hand, patience and a whole lot of expertise. 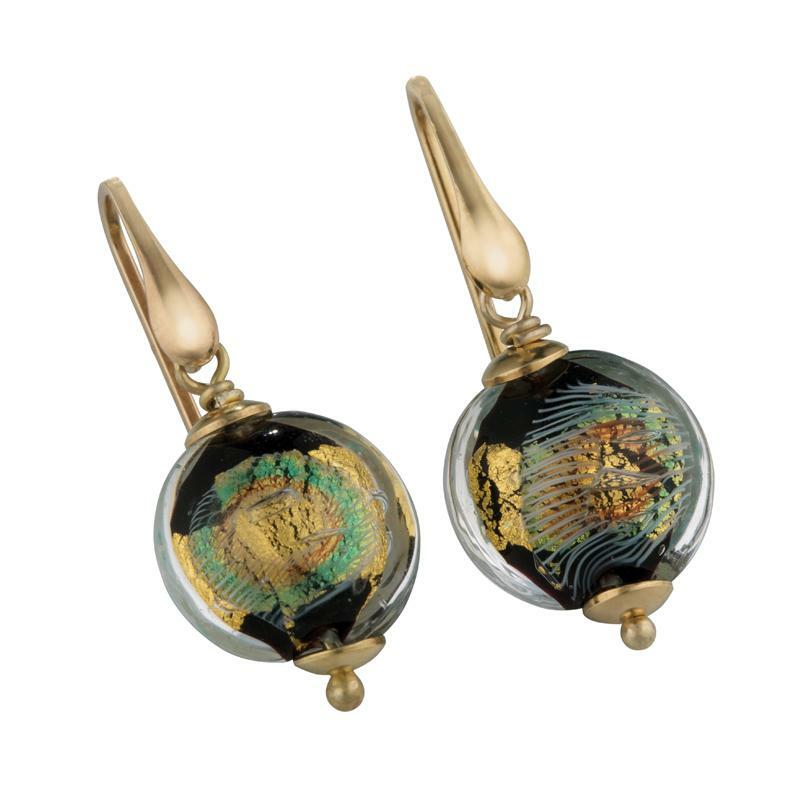 Manuela has applied a precision-oriented process called “Redentore Murrina” where she infuses Murano glass with silver and gold leaf along with filigrana canes. The result is a striking shimmering effect.